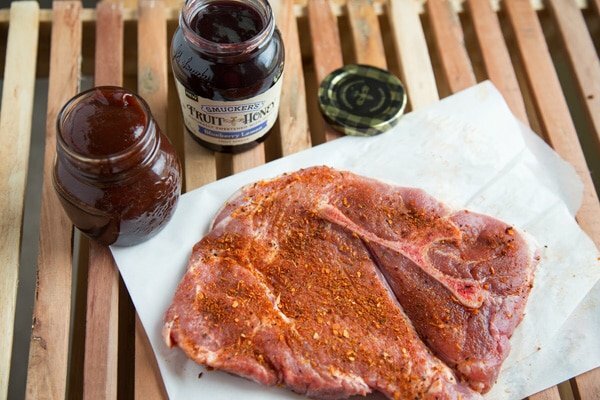 Fire up the grill and try out my Blueberry-Bourbon Barbecue Pork Steaks! I guarantee they'll put a smile on the faces of the carnivores in your family! 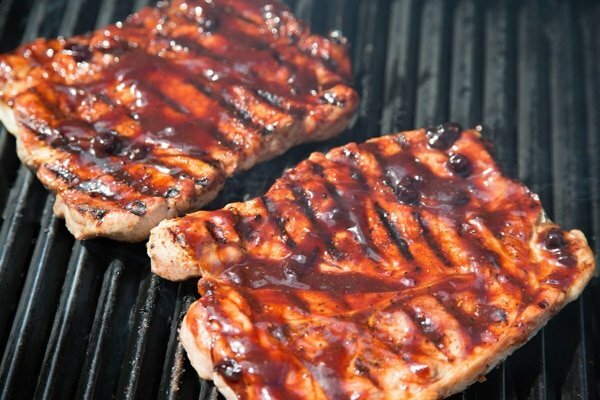 Fire up the grill and give my Blueberry-Bourbon Barbecue Pork Steaks a try. I guarantee they’ll put a smile on the faces of the carnivores in your family! 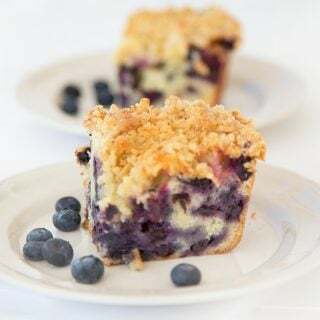 I used a blueberry lemon fruit spread, but any flavor you like would be delicious. 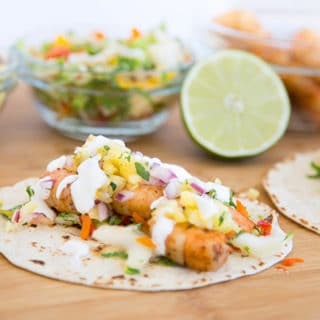 If you want to try this recipe with chicken, just about any flavor fruit spread will work. For fish, I would recommend a tropical spread or a citrus spread. 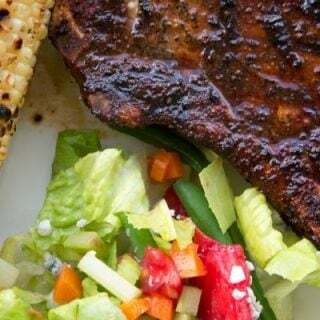 I first discovered Pork Steaks after moving to Kissimmee and let me tell you, it’s a great way to eat pork and work very well on the Barbecue Grill. You can cook these under the broiler, pan fry them or use a grill pan to add those beautiful grill marks to your finished dish! 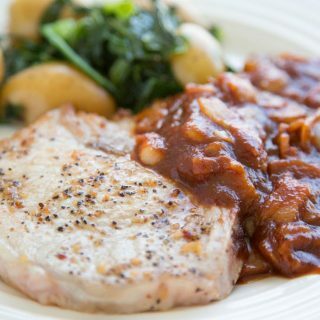 If you can’t find pork steaks, this recipe will work just as well with pork chops. But any way you cook them, you’re going to be serving up some serious deliciousness with my Blueberry-Bourbon Barbecue Sauce! 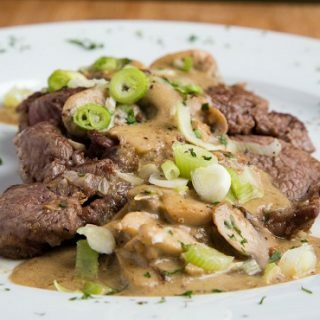 If you’ve tried my Blueberry Bourbon Pork Steaks recipe or any other recipe on askchefdennis.com please don’t forget to rate the recipe and let me know where you found it in the comments below, I love hearing from you! 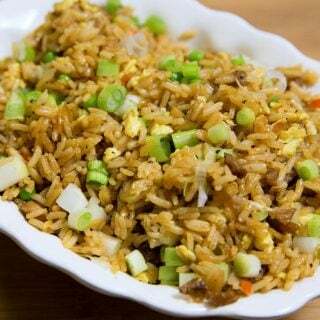 Whisk all ingredients together in a medium saucepan. Allow sauce to a simmer over medium-high heat for 5 minutes, then reduce heat to low and simmer for an additional 20 minutes. Remove sauce from heat and whisk in the blueberry lemon fruit spread. Refrigerate barbecue sauce until needed. The sauce can be saved for at least a week under refrigeration. Season one side of each pork steak liberally with 1 tablespoon of your favorite Cajun seasoning. 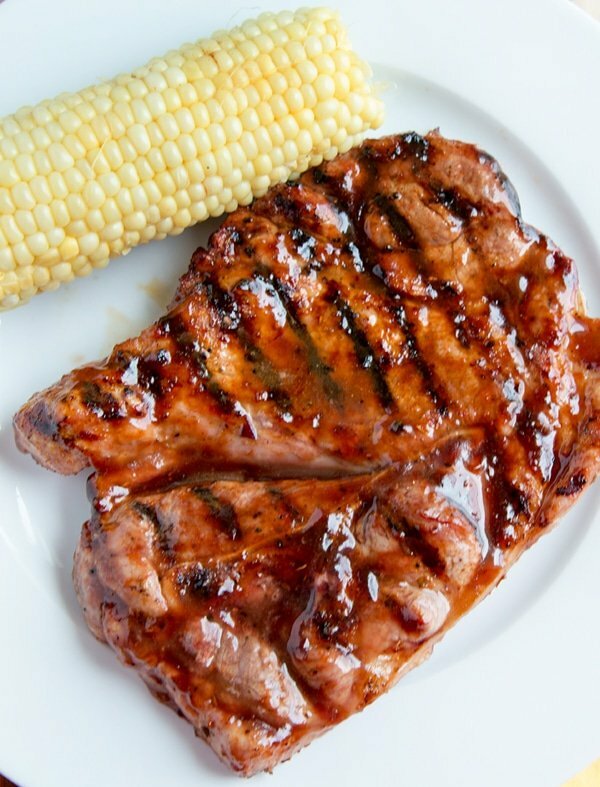 Allow pork steaks to rest outside of refrigeration for 20 minutes before grilling. Grill pork steak for 5 - 7 minutes, then turn over. Brush each steak with a blueberry bourbon barbecue sauce. Give each steak a good coating. Turn over the pork steak after 5-7 minutes and brush each pork steak with the barbecue sauce, so that both sides have been coated. Allow steak to cook on the first side for an additional 2-3 minutes letting the barbecue sauce caramelize some.